The process of refining scrap gold involves the removal of base or other heavy metals from the scrap gold and also removing impurities from it. A lot of businesses have grown due to the demand for gold and they have found refining as a way of supplying that need for gold. This process aids the supply for gold without having to mine them from the earth and all the risks that entail this process. Aside from that, it also eliminates the costly production expenses of mining gold and also provides a way to make up for the gradually lessening sources for gold. Miners have also been endangered with mining and so this is a great way to avoid that. Environmental issues have also arisen from gold mining. But the most benefit that can be taken from it would be that it also supplies instant cash for those who have scrap gold but are short in cash. With the price of gold going up, a lot of gold refiners have now gotten into the business of buying scrap gold to refine them. Refining can be done in a number of ways that would involve either the use of harsh chemicals, electrolysis, and heating metals in ultra-high temperatures. With the nature of this process, only professionals can be relied on to do the job. Any small mistake in the process can result to disaster. The process also gives by-products of toxic wastes and gases which can endanger health and the environment if mishandled or disposed of improperly. So, it is not recommended that one should do it in his own home and improvise. The various procedures done can also depend upon the type of scrap gold that you are dealing with: if you have lower karats of gold, you can only use a particular process as it is the best way to eliminate the other base metals from the mixture. You can also choose the kind of procedure to use if you are aiming for a higher karat or purity of gold. 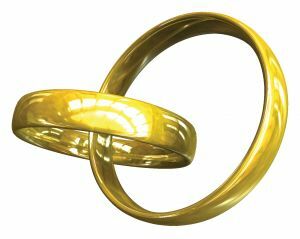 The process can also differ depending on the amount of gold that you are dealing with – either large-scale or small-scale, there are varying processes for it. Some of the procedures that are used in refining are the Miller process, which yields a 99.5 karat of gold; the Wolhwill process which uses electrolysis; cupellation, which involves heating scrap gold to a thousand degrees Celsius; and the use of Aqua Regia which involves nitric and hydrochloric acids but yields a 99.99 karat of gold. Some of the procedures used for large-scale refining such as the Wohlwill and the Aqua Regia method; whereas those that are used for small-scale refining are cupellation and inquartation. With these refining processes, one can save from the costs of acquiring gold by mining. Refining scrap gold can definitely be a way which we can avoid the more serious threats that gold mining imposes on our planet and in people’s lives. It has been said to be affecting the environment as it destroys the plants and trees in the process as well as be a cause for frequent flooding and erosion of the arable soil. There are a variety of precious metal refining and broker businesses where you can trade in your precious metal valuables in Sacramento, California. With the current price of gold hitting a new high, most people are now into buying and selling any of their personal property which may have any gold in it. Gold has always been a highly valuable commodity or property which has turned recently impoverished men into some sort of good economic status after having their gold sold in the market when the market price for it was higher. Now who would have thought that that would be the case a few years after they have acquired that gold? So, whether you are interested in gold either as an ornament or as a commodity or investment, you will always find that the cost of buying it will always be worth it. If you are thinking of whether to sell or buy gold, one thing that you should keep in mind is that it should be worth the gold at a fair rate. There are a lot of companies who will give you a mind-blowing offer at first glance but if you come to think about it later, you will see that you have been scammed. So choosing the right store to go to will be one of the first things that should come to mind. Selling your gold will require enough skills and knowledge concerning the precious metal and the buying and selling market in order to get the best value for your pieces. The company that you should pick to buy or sell your gold to should be able to provide you with the type of service that you would like and should be friendly enough and accommodating enough to assist with in any way that you may need regarding the buying or selling. They should also be giving you also not less than about 90% of what your gold actually costs in the market – the deduction being for the refining and other processes that your gold piece may need to go through in order to get to the pure gold. 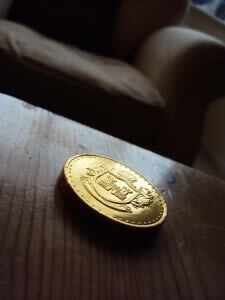 The Sacramento area will be able to provide you with just what you need for your gold. There are a lot of stores who also have their online websites where you can get any necessary information that you may need before you head out to their store and deal with the gold. A lot of them will agree to buy any gold coin or jewelry that you may be willing to part with in order to have some additional financing. They can also buy a whole collection if you have any depending on the type of store. A lot of them have professionals in their stores which will be able to tell you exactly what your gold is worth depending on its weight and its purity or karat which is based in the percentage of gold that is present in it. Some of them may be able to give you some nice offers but never settle for the first one that you come along with. Try to get a few different appraisals from stores in before you set down and make a final deal for your valuables. Refiners of precious metals are in the business of assaying and refining all forms of gold, platinum, palladium, and silver. They provide a means for salvage companies, jewelers, and dentists to sell and recycle their gold and other precious metals. Many gold refiners also provide the private investor with a way to sell their jewelery, coins, dental gold or scrap gold. In today’s trying times, one would sell almost anything to try and get out of the hell hole and restore oneself out of financial debt and crisis. You may have already tried asking money from the bank, or pawning your car, but then those just not enough, that you go and try to sell your other valuable possessions such as your precious pieces of metals such as your pieces of gold and silver. There are numerous gold refiners out there. There might be even one within your local who you can try to sell your gold jewelry to. But how ever if you are looking around wondering who will offer you the best price for your pieces, then we suggest that you research online and try to find reputable gold refiners. One of the more popular online gold refiners is sellyourgold.com, which has been ranked by NBC’s Todays’ show as the top refiner. They present a competitive payout. They provide a free shipping service that is covered by insurance. The website sell our gold has factors on which they base the amount of which they would be giving value for your gold, silver, and platinum. They base it on price, the karat content and the weight. Empiregoldbuyers.com, has been in the industry for 12 years now. They promise to pay as much as 96 percent of the jewellery’s market value. The price, however will depend on many aspects such as quality and metal content. Their payout structure begins at three troy ounces. They also have FedEx shipping services that are covered by insurance. You would not need to pay for the shipping fees as the company provides this, and they would make you an offer when they evaluate your gold jewelry. Midwestrefineries.com has been buying gold, silver and platinum for generations, and has been online ever since 1998. Although they do not cover the shipping services nor the insurance, Midwestrefineries.com give one of the highest payouts available in the market today, priced at 95% of the market value of your precious metal items. Another gold refinery is goldfellow.com. It has been in business since the year 2007, but they started out selling gold jewelery. The website offers a free financial analysis of how much you would be getting, simply type in the weight of your jewellery that corresponds to its karat and you will know the estimate amount that you will receive. Goldfellow offers Fedex shipping services and a ten day guarantee. With in those ten days you can change your mind and return the check. Another website to check if you are selling your jewelry would be cash4gold.com. 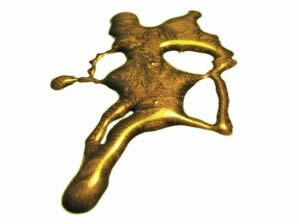 Cash4gold is one of the most publicized refineries. It even has the picture of socialite Paris Hilton on its website. They take pride on their turnaround time. They say that their transaction from start to finish only takes about four days. They base their payment for your jewellery on gold content ( karat), weight and the price of the gold. They also offer shipping and insurance, as well as offer one of the lowest insurance fees, which is a hundred dollars.